Celebrate that feeling of unity with this logo'd calendar! Celebrate the solidity of a unified nation with remarkable scenes from across the United States. Images of important American monuments, symbols and traditions celebrate the state of our union. Perfect promotional tool for Independence Day parades, political campaigns, state parks and any other business that values its country. 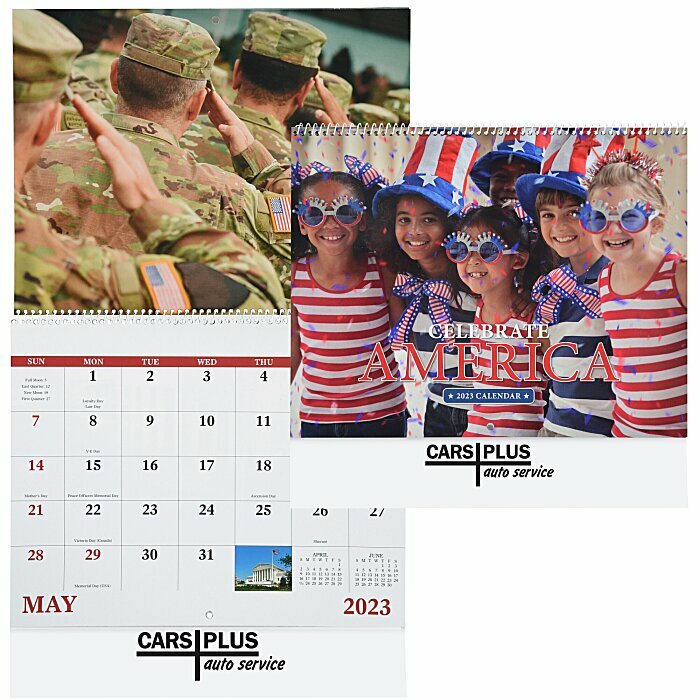 For the staple-bound version of this calendar, see item #6802-STCelebrate America Calendar - Stapled; for the calendar with a window imprint, see item #similar item search 6802-W. Your price includes a one color imprint on the front bottom of the calendar.